Harvard Book Store welcomes Nobel laureate ALVIN E. ROTH for a discussion of his book Who Gets What—and Why: The New Economics of Matchmaking and Market Design. Who Gets What—and Why reveals the often surprising rules that govern a vast array of activities—both mundane and life-changing—in which money may play little or no role. Alvin E. Roth is one of the world’s leading experts on matching markets. He has even designed several of them, including the exchange that places medical students in residencies and the system that increases the number of kidney transplants by better matching donors to patients. In Who Gets What—And Why, Roth reveals the matching markets hidden around us and shows how to recognize a good match and make smarter, more confident decisions. Most of us are familiar with markets where products are bought and sold, from grocery stores to the stock market. But there’s a whole other type of market that governs things from finding a kidney to finding a mate. 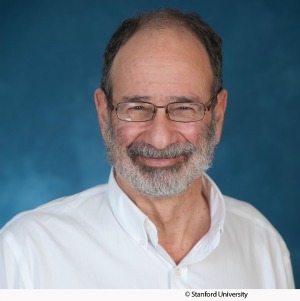 Alvin Roth, professor emeritus at Harvard Business School, won a Nobel Prize in Economics for his work in this field. 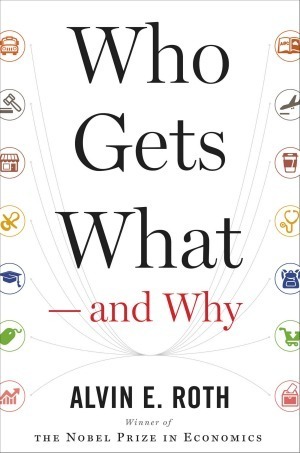 Professor Roth will be reading from his new book, “Who Gets What—and Why” at the Harvard Book Store this Thursday, June 4, at 7 p.m. I asked him to explain his work and give some examples. A matching market is one in which you can’t just choose what you want; you also have to be chosen. For example, labor markets are like that—you can’t just show up for work; you have to be hired. So are college admissions, dating and marriage. You can’t just choose your spouse; you also have to be chosen. I didn’t realize all that went into getting a kidney to the right recipient. What had been the issue and how did you solve the problem? There are lots more people who need organ transplants than there are organs. Right now, more than 100,000 people in the U.S. are on the waiting list for a kidney from a deceased donor, and thousands of those people will die while waiting. But a healthy person has two kidneys and can remain healthy with just one. So lots of kidneys are donated by living donors, often to people they love. But sometimes you are healthy enough to give someone a kidney, but your kidney isn’t a match for the person you love. If two patient-donor pairs are in that situation, sometimes each patient can accept the kidney from the other patient’s donor. That’s a simple kidney exchange, and along with bigger and more complicated exchanges, kidney exchange has now ​​​​become a standard part of transplantation in the U.S. and in a growing number of other countries. I’m a Boston parent who’s a bit nervous about the chances that my daughter will get into the right kindergarten. Explain how you worked to make this better for all parents. A previous generation of kindergarteners’ parents in Boston had to think carefully about what school to put as their first choice, because parents who didn’t get their first choice might find that all their other top choices were filled with children who had listed that school as their first choice. But now the system makes it safe for parents to state their preferences for schools truthfully rather than carefully: If you don’t get your first choice, you still have just as much chance of getting your second choice as if you had listed it first. So now it’s safe for parents to concentrate on figuring out which schools they like, rather than figuring out which schools they can get into. What do you see as the next area of life that’s ripe for a matching market? Well, modern matchmaking—shidduchim—could use some help. There are now lots of dating services, but plenty of room for helping people find each other. One of my favorite stories from the Talmud—from Vayekra Rabbah—starts with a Roman matron asking what God has been doing since the creation, and the answer is matchmaking. It’s an important matching market!